Create a great attention grabbing display banner with our eco-conscious bamboo based square stand floor displays with included custom high resolution full color printed graphics from artwork provided by you. Create a great eco-conscious message by using an eco-friendly stand made out of natural bamboo material. The bamboo square based banners are ideal for trade shows, events, and retail promotions as they are very lightweight and easily set up in a couple of minutes. The banner stand can be easily dismantled and carried to anywhere you need to promote your business or products. 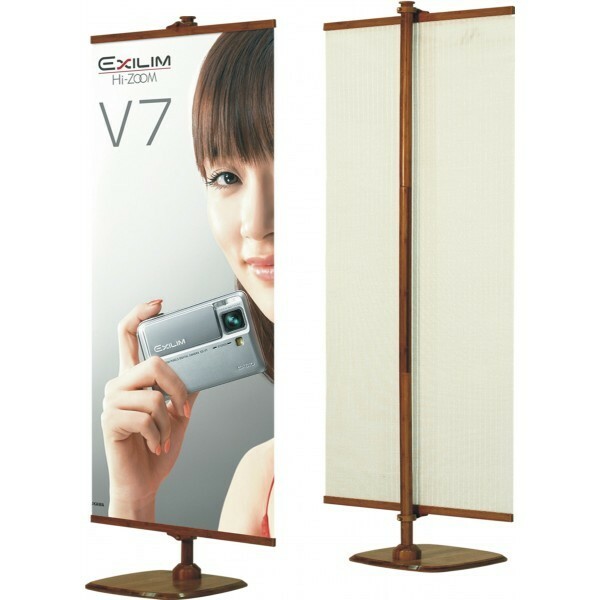 Banner stands are the low cost and efficient option for a floor standing display banner. With the round based banner, the middle aluminum pole can easily be adjusted to vary the banner’s height. Our displays include a woven carrying bag and the custom full color printed graphic banner.